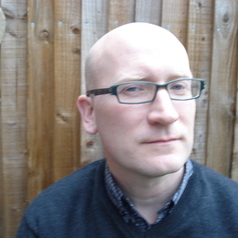 Jeremy Hicks is a historian of Russian culture and film at QMUL. His research interests are in Soviet film during World War Two,representation of the Holocaust in Russian and Soviet film, the reception of Soviet film in the West (1920s-40s), Dziga Vertov, the theory of non-fiction & documentary, Soviet literature and cinema (1920s-40s). He received a PhD from SSEES-UCL in 2000, and has been teaching at Queen Mary since 1998.